Tribology is the “science and technology of interacting surfaces in relative motion” and encompasses the study of friction, wear and lubrication. By extension biotribology is usually defined as the tribological phenomena occurring in either the human body or in animals. Therefore, it is possible to consider tribological processes that may occur after implantation of an artificial device in the human body and the tribological processes naturally occurring in or on the tissues and organ of animals. Animals, including humans, possess a wide variety of sliding and frictional interfaces. The authors aim to provide some advances in research in biotribology. 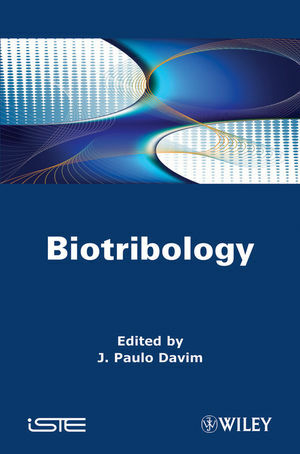 They cover several aspects of biotribology such as tribology of synovial joints and artificial replacements; wear of screws and plates in bone fractures repair; wear of denture and restorative materials; friction of the skin and comfort of clothing; wear of replacement heart valves; tribology of contact lenses and ocular tribology; biotribology on the microscale and nanoscale levels, etc. This book can be used as a research text for final undergraduate engineering courses (for example, materials, biomedical, etc.) or for those studying the subject of biotribology at the postgraduate level. It can also serve as a useful reference for academics, biomechanical researchers, biologists, chemists, physicists, biomedicals and materials engineers, and other professionals in related engineering, medicine and biomedical industries. J. Paulo Davim is Aggregate Professor in the Department of Mechanical Engineering at the University of Aveiro, Portugal and is Head of MACTRIB (Machining and Tribology Research Group). His main research interests include machining/manufacturing processes and tribology/surface engineering.